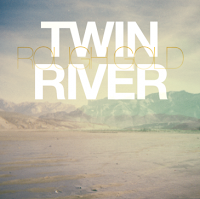 Out July 10th, Rough Gold is the debut EP from Vancouver band Twin River. The group wrap old-time blues-influenced roots music with a psychedelic coating. The opener "Can't Keep This Alive" is a hollow sounding track with plenty of retro guitar that echoes off the studio walls. "Feather" is the ultimate conveyance of the sense of desolation, unfortunately desolate isn't really that interesting. On "Family Tree", singer Courtney Ewan channels Neko Case for a haunting and desperate country-slanted cut. The album's standout is undoubtedly "Jangler". 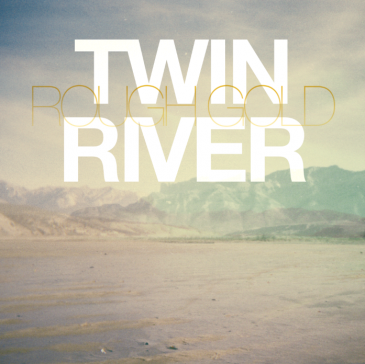 As the title suggests, it's a jangly number (providing by the tambourine) which features a brief plucky, almost danceable guitar solo. The highlight is the charming vocals provided by Ewan, marking the lone occasion on the record she's allowed to be even a slight bit peppy. In the end though, one can't help but wish that these songs gave Ewan more of a chance to enchant us with her sweet vocals. Hopefully that will come in the near future. Otherwise we're in for another record of laments that aren't really that engaging.